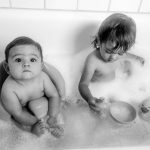 Are you a SAHM wondering quality ways to interact with your baby? You are your baby’s very first playmate and best friend! As such, it is highly important to engage in play with your child from the moment they’re born! At such a young age you probably wonder what can we possibly do at this stage? Well, if you’re like me you have probably bothered asking google or pinterest. And I don’t know about you, but finding such humongous amount of activities that you can actually, realistically apply is like attempting to drink straight from a massive waterfall! 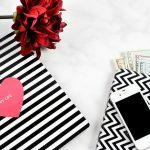 In this post, I have gathered my ultimate favorites in accordance to what my own baby has enjoyed doing with me the most! Note that different activities appeal different children and at different stages. 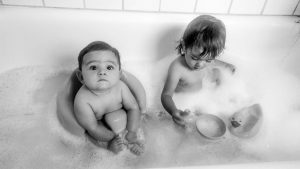 In the following, you will find a variety of options you can try at different stages of your child’s development according to what you find appropriate upon the best of your own judgement. Have fun! From a short time after birth, babies are already capable of perceiving and mirroring facial expressions! 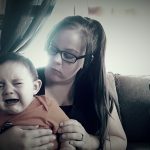 When you make faces or imitate your child’s sounds or the faces he makes, you are enhancing your baby’s growth in terms of social development, imitation and memory. This one is highly appealing to babies and provides a fun, sensory experience. Their sense of sight and touch is stimulated, encouraging and facilitating natural exploration. I know what you’re thinking. Stop laughing! I promise you your child will not complain about your voice. Remember, to your child you are a star! And there is no sweeter way to express love and enhance bonding better than you singing to your baby. While you’re at it, you will promote listening skills and emotional regulation. Sensory Books! Yep, that still ‘reading‘. 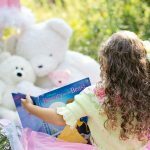 It teaches communication, and how reading introduces concepts such as numbers, letters, colors, and shapes in a fun way. It builds listening, memory, and vocabulary skills as well as information about the world around them. Get creative. Hide your own face with a blanket or a pillow. Or even hide BABY under the blanket and do “where’s baby? There he is!” and things like that. Not only will you make him giggle. He will learn object permanence; the concept that something remains even when you no longer see it. I have never seen my baby crawl so fast as he does when we crawl with him and start racing him or chasing him! Big gross motor skill development and slow/fast body stimulation. Babies love it and so will you because it is so funny it will make you laugh! I have never seen a child like, not want to play ball. 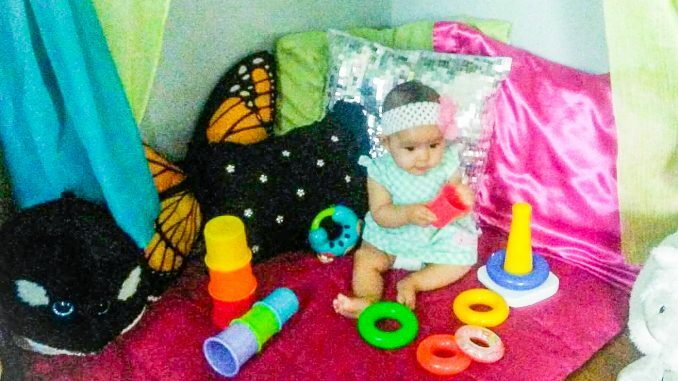 Not only does this simple toy have endless play opportunities, it promotes growth and development in social skills. Although babies are unlikely to recognize their own reflection prior to their first year, they love faces! 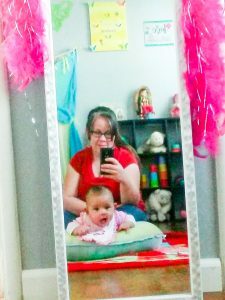 Especially the fun it involves interacting with that “other baby” in the mirror! This activity promotes visual, social, and emotional development through exploration and discovery. 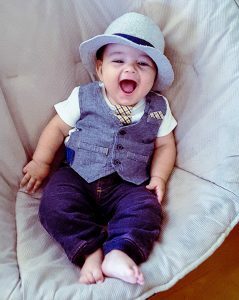 Give the baby visual tracking practice as well by making faces and see how he responds! I don’t know about your baby but mine gets highly amused and knocking things over! It’s just a natural impulse babies have. He loves it when I stack these colorful cups and laughs really hard when he destroys my tower. It thrills him to no end! This fun game promotes learning cause and effect and fine motor skills. Does your baby walk yet? Mine doesn’t yet (as I write this), and if I sit down with him on the couch, he immediately grabs each of my hands and slide off so I can walk him. That’s what he likes to do and it promotes gross motor skills and body movement stimulation. A favorite! Naturally, everything amuses babies and a window in your house is the perfect piece of fun to distract him a bit and talk about everything you see. Name things and respond to his reactions when he sees something that catches his attention! This enhances your baby’s growth in language develop and social awareness. Want a non-messy sensory play? This is it! 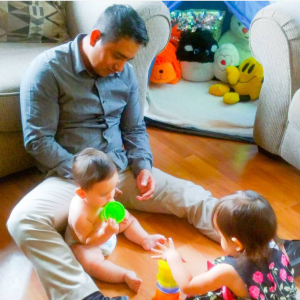 Filling a bottle with beads or rice offers a thrilling sense of discovery for young babies to experience small things without actually having to touch them (for obvious reasons). And the noise! They love to make noise, don’t they? Have you figured out by now what a big sensory play fan I am? Well, without knowing it, so is your baby! A bubble bath is the ultimate fun experience as he splashes, feels the bubbles, temperature, the slippery and everything water play consists of! Not only does enjoying the outdoors provide a sense of relaxation and calmness for your baby by taking in that soothing fresh air, it is also a learning opportunity. Every sight, sound, and smell provides your baby with valuable experiences! And you get your good exercise! This one can go hand in hand with the one above! 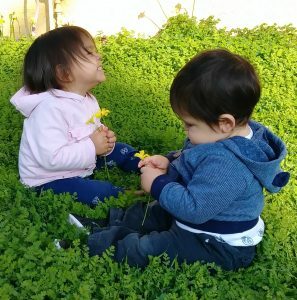 When your child gets to hold a flower, touch the grass and feel a leaf, their natural inclination to explore is enhanced by their curiosity and they learn by discovering new textures. Babies are natural born scientists and these experience promote speech and brain development, less mood swings and reading readiness! It’s a perfect stress reliever too for you and your baby. Right now, your child’s ultimate role in your house is to destroy (I mean Explore). 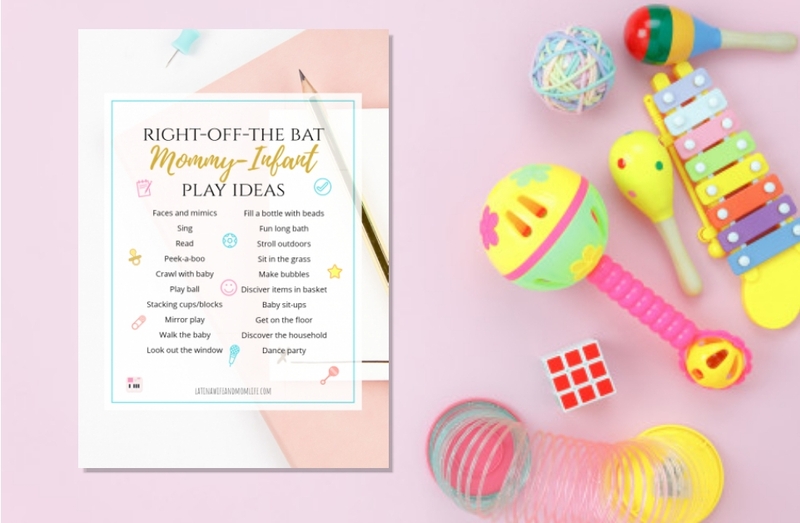 Designate one area of your home and put a basket there with your choice of discovery items for your baby and rotate periodically. This activity promotes tactile stimulation, and hand-eye coordination. Items can range from kitchen utensils to bath toys or nature items to music instruments! 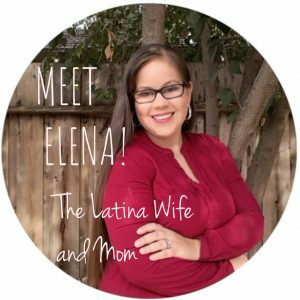 Click here for over 150 item ideas! Do you know how much babies love climbing? At this stage it is the number one way for them to develop their gross motor skills. They already love being all over you. Get on the floor and let baby lead the play! If your baby has good head control, lay him on his back, and repeatedly help him into a sitting position. As he gains muscle tone and strength, you can eventually hold him from his hands and gently bring him to sit. 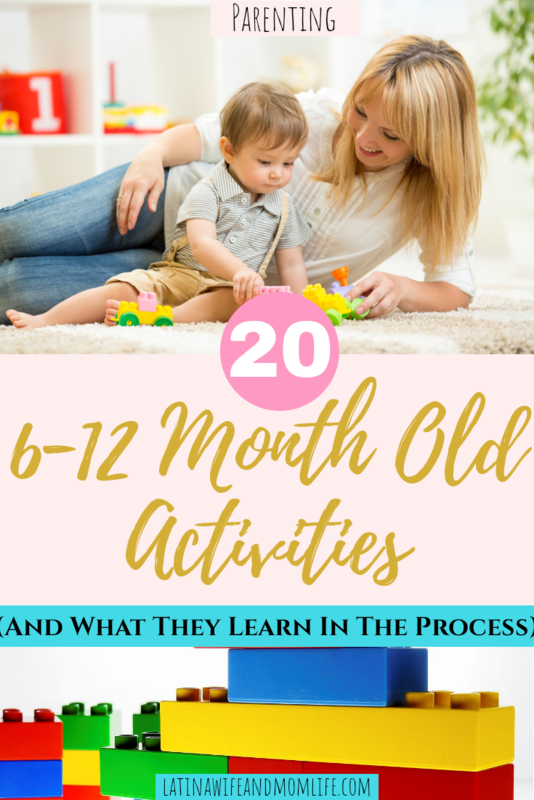 This one is literally my ultimate favorite thing to do with my babies and is their number one fun activity as well! I connect a phone or tablet to my sound system and crank up the volume and start dancing with them! Dancing also encourages an interest in music and strengthens bonding, which is imperative for emotional development. We like to blast music during the day, but on some nights, my hubby and I like to turn these on for our babies and dance party with them like this! And they absolutely LOVE it!! 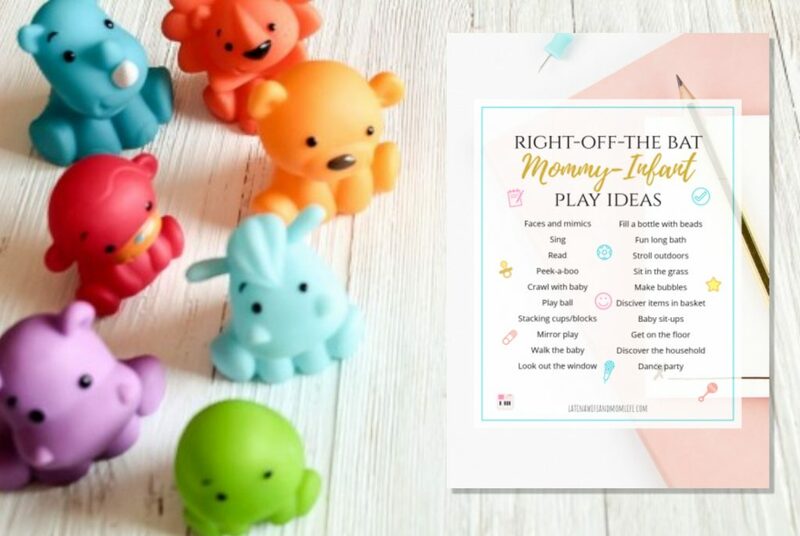 The activities I mentioned here were my ultimate top picks and my own baby’s favorites. Let me know what your baby likes to do. The time with them is short so we can never have too much! Thanks for reading, now go have fun! Like what you see? Subscribe below for exclusive and inspirational content just for my inbox friends! 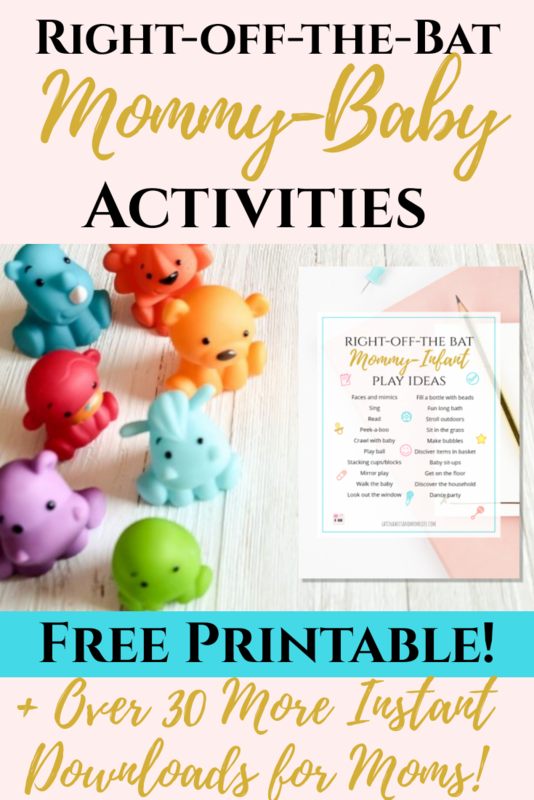 For a quick and handy cheat sheet on things to do to engage in quality time with your baby that will enhance his/her developmental growth, just enter your email below and as a newsletter subscriber you get to have access to this as well as all my free files! I’m “teaching” preschool and have the 1yr olds so needs lots of ideas of fun things to do that help them learn! Thanks!